This project was undertaken by the Jefferson County Development Authority and nine local employers, with the goal of providing better access to day care facilities for the local workforce. 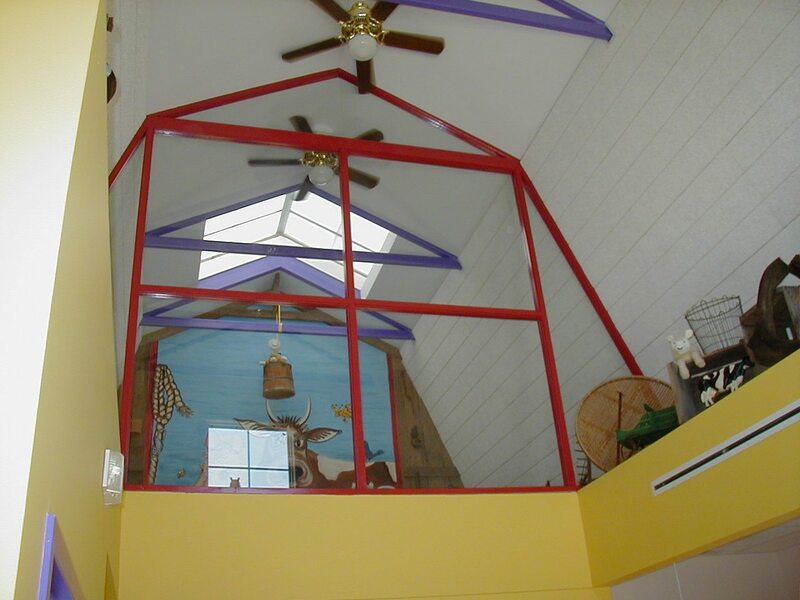 The child development center concept was important to provide a superior learning experience, and the Authority wanted a unique and fun appearance that would be attractive to the children. Helbing Lipp Recny Architects responded with an agriculturally-themed design, taking cues from nearby family farms. The main entrance has a gambrel-shaped roof, a picket fence, and there is a windmill off to one side of the building. The side wings are simple rectangles and use brightly colored metal siding. The building, while fun and bright, is actually a pre-engineered steel building to provide economical construction. The interior entry space features a child-sized door into the commons area, while providing a secure entry. Beyond the door is a large commons area that serves as a hub of activity. Classrooms for different aged children, from infants to pre-kindergarteners, extend off to the back and each side of the commons and there are covered exterior play spaces behind the classrooms. There is also a kitchen and employee lounge areas in the building. The interior spaces feature exposed ductwork and corrugated metal wall finishes to complete the agricultural theme, interspersed with warm natural wood trim and accents.